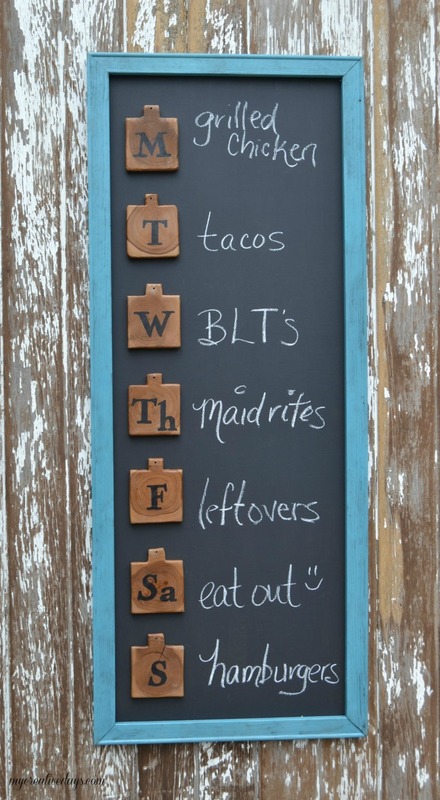 I am sure I am not the only one that thinks Chalkboard DIY’s are just too cute. Not only are they cute but they are easy to do and so functional in your home. 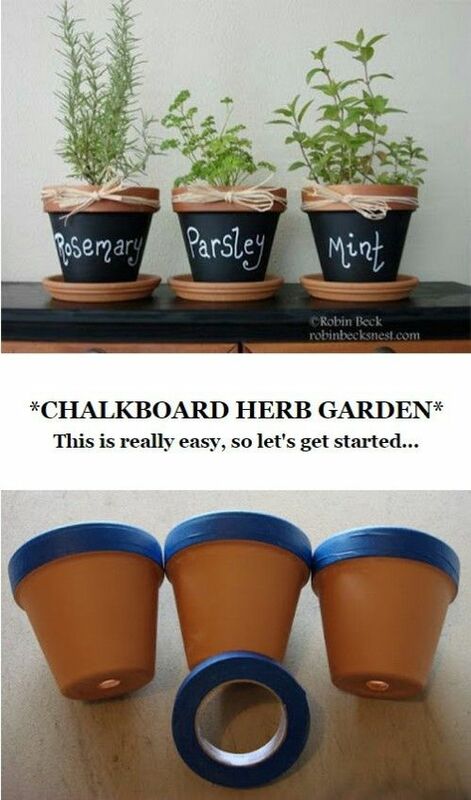 Let’s get started on deciding which one of these Chalkboard DIY’s will be our next project. 2. When I saw this, I thought this was an absolutely clever idea. If you have kids or maybe have a bad memory, this fridge would be perfect for them to doodle on and for you to write down daily reminders. This tutorial can be found at DIY and Crafts Corner. 3. A weekly menu plan? or just a general weekly plan. Whatever you choose, it will certainly be useful in your home. Check out the tutorial here at The Sits Girls. 4. Are you into gardening? If so this is a create way to label your flower pots, just in case you get confused on which plant is which. Tutorial here at Robin Becks Nest. 5. When I saw this, ‘Wedding Favour’ came to mind. Don’t you think? Cambria Wines has the tutorial to get you started. 6. I love when my mug has meaning. Even though we make great coffee in Jamaica, tea is actually the preferred choice, just like the Good Ole’ Queen. (If you’re not British or West Indian you probably won’t get this one. 🙂 Wit & Whistle. 7. I love this idea, no one in the house will ever ask again “What’s cooking?” Just read the sign. Tutorial here at One good thing by Jillee. 8. 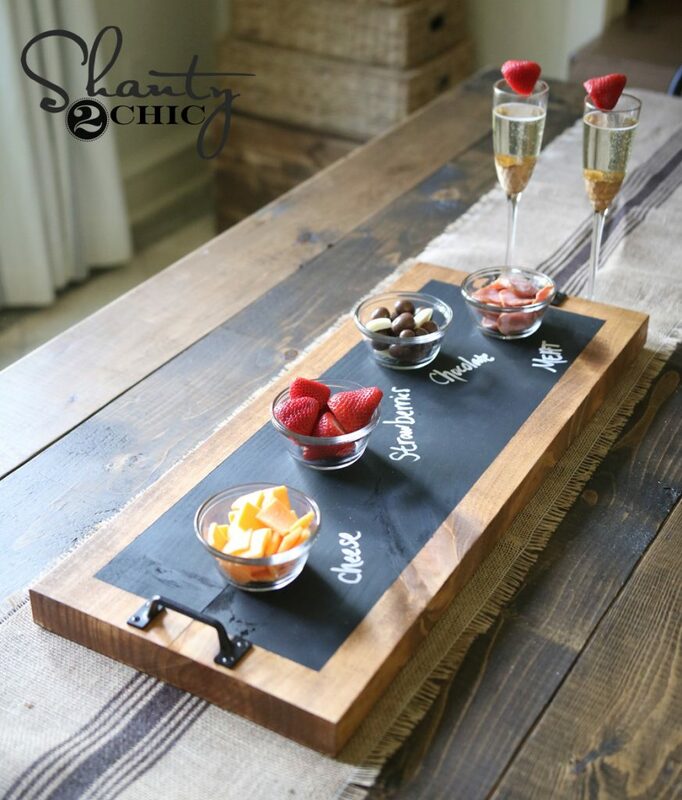 The Shanty 2 Chic always brings something great to the table. How cute is this waiter table? 9. 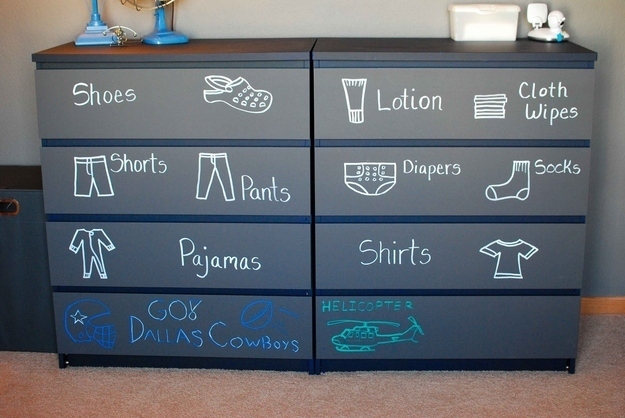 This Dresser labelling chalkboard is perfect for your kids. This can teach them the independence by locating their items them self. Always it’s great to teach them words and spelling. This is clever, don’t you thin? Mc Baby Bump 3. 10. A board for kiddies chores, now they have no excuse, cause they won’t forget. The Yellow Cape Cod. 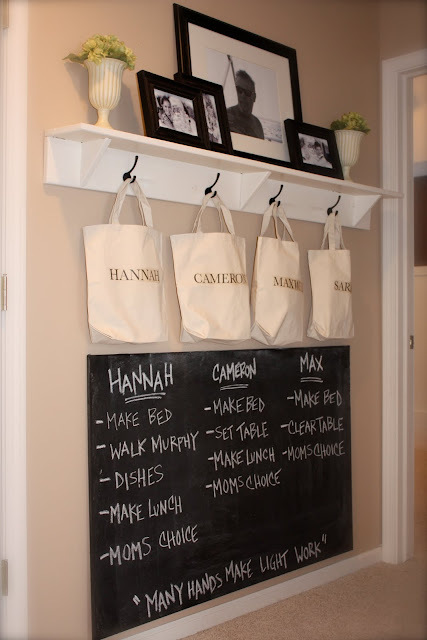 Now that you have seen these Brilliantly Chalkboard ideas, let me know what you think and if you’re considering to try any of the above.